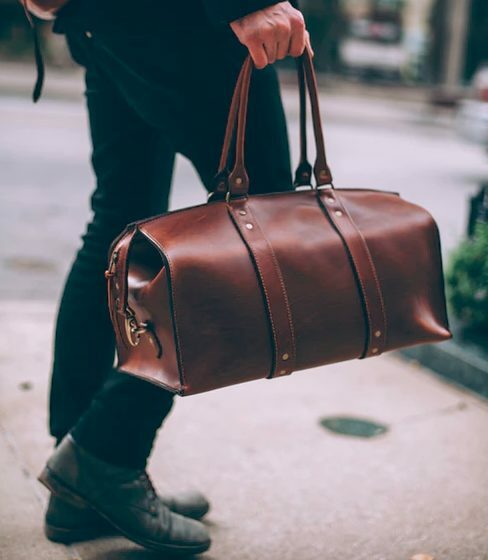 Speakeasy Leather Company, based in Milwaukee, WI, has launched a new Kickstarter campaign for a full collection of American-made leather bags. The bags, backed with a lifetime guarantee, are inspired by the “Prohibition Era” of American History. The bags in this collection all have a unique silhouette and represent several years of design and development. The line includes the 1920 Overnight Duffle Bag, the 1933 Weekender Bag, the 1846 Messenger Bag, and the Bootlegger Backpack, available in four different leather colors – Burnt Timber, Red-Brown Gizmo, Tobacco Snakebite, and Rio Latigo. There are also some smaller items like a wallet, key fob, pen, cardholder, dopp kit, tablet sleeve, and more. I am doing my part to rebuild the Milwaukee leather industry, preserve its history, and move it into the next century. Sourcing and manufacturing locally is the foundation of our success. With your support, we will be able to generate a positive impact in a time where it seems like everything is heading in the opposite direction. You become a major part in rewriting the future of the American leather-making and manufacturing industry. You are not just backing a product that is outsourced you’re backing a quality product that will last for generations and continue to tell the story you are now a part of. The Kickstarter has already reached its goal, but it’s not too late to get one of these beautiful bags for a sizable discount, as well as help reach their stretch goals. Check it out!